From the train station, I walked for nearly two miles, mostly along the Aura River dotted with myriad boats and comically large inflatable floating birds, to the massive Turku Castle (Turun Linna), the largest castle and the largest surviving medieval building in Finland. After more than 800 years, Turku Castle is still an impressive sight. 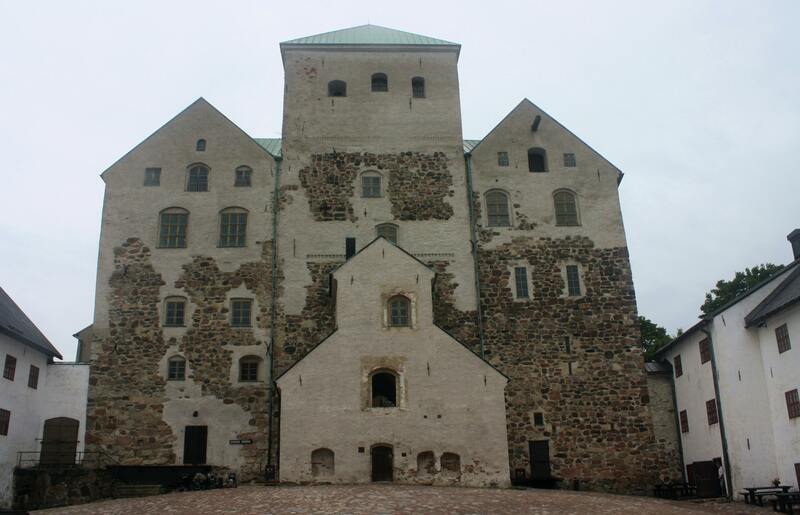 Part Middle Ages (the lower levels) and part Renaissance (up top), the castle was begun in the 1280s by the Swedes, who had already absorbed Finland into their empire. Constructed as a defensive fortress at the point where the Aura River flows into the waters around the hundreds of islands in the Turku Archipelago, typical of the entire southern coast of Finland, the castle has seen military action only once in its long history, in 1318 against the Russians. Over the next 250 years, the castle grew to its current size, with additions including a bailey and a round tower. In the mid-1500s, the Swedish duke of Finland built the castle’s Renaissance halls, but since then, no expansions or alterations have been made — only repairs and restorations, including those following the devastating bombings in 1941 that left the castle in ruins. 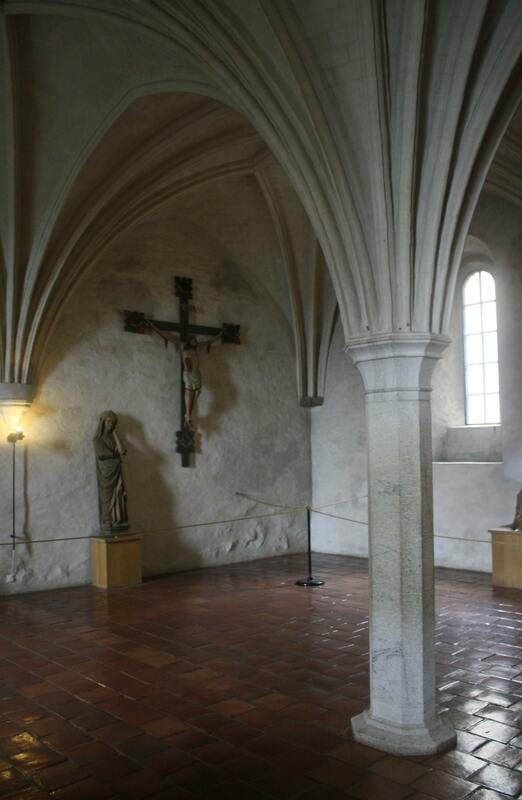 The austere Nun’s Chapel brings a quiet reverence to the castle. I entered the castle grounds via a passage through the bailey that opens into a spacious courtyard. At the opposite side, the castle soared six stories above me, an imposing site, indeed, for anyone approaching it in the 16th century, and just as impressive today. Guides in period garb are available to take you around, but I opted for a self-guided exploration, which soon led to my first two conclusions about this place: it’s truly fascinating, and it’s also the most exhausting castle I’ve ever visited: up, down, over, down, up, up, up, across, down, up, around, down, up, down — half a dozen uneven levels of rooms and passageways to explore, including parlors, chambers, chapels, banquet halls, drawing rooms, kitchens, dressing rooms, and, of course, a dungeon. Its haphazard construction stems from its various uses over the centuries. The castle served as a fortress, luxurious residential palace, administrative center, prison, granary, and garrison before the museum was established in 1881. Throughout the castle, I was continually surprised not only by the building itself, but its contents as well. The Nun’s Chapel, for instance, features a single column in the center of the room, supporting a wonderful groin vault ceiling, and holds an exceptional collection of medieval wooden religious statues, including an extremely curious Crucifix, with the blood pouring from Christ’s wounds resembling bunches of grapes. The long King’s Hall, from the 1550s, boasts an impressive wood ceiling and centuries’-old tapestries. The church has a small railed altar, rows of box pews painted a faded cerulean blue, and a pulpit with a panel for each of the four evangelists. 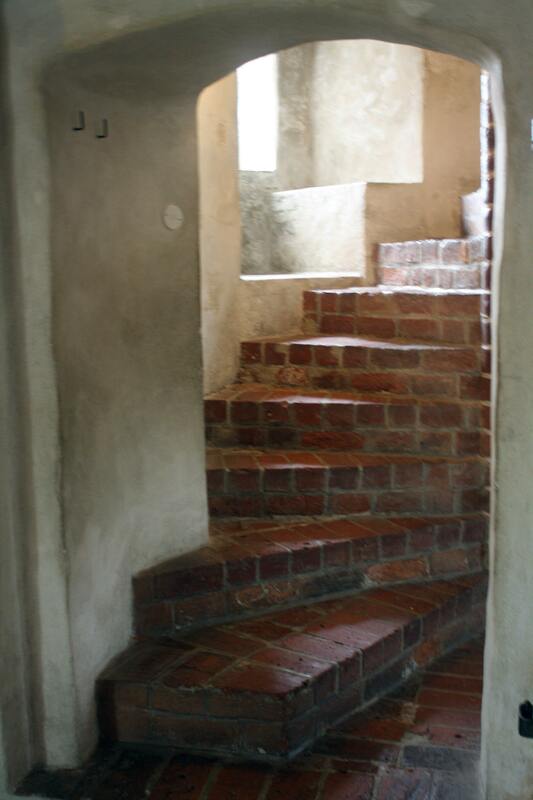 Twisting brick staircases lead from one fascinating level of the castle to the next. As I made my way along labyrinthine stone and brick passageways and spiral staircases, I peeped through windows in the formidable walls, at some points up to 16 feet thick, and looked down on several other courtyards, smaller than the grand one at the entrance, and noticeably darker. Stenciled columns and lintels framed the windows across the way like artistic architectural graffiti. Throughout the keep and the bailey, I kept coming across displays of items from the castle’s permanent collection, from furniture and costumes to coins and ceramics. Such items offer a more intimate glimpse into the past, from the types of toys that used to entertain royal children to the importance of dairy products that exceeded merely a dietary component: In the 1500s, 20 percent of all taxes paid in Finland were in the form of butter. As I exited the castle, the two-mile trek back to the town center felt a little daunting, given the extent of indoor hiking I had just completed. But I wouldn’t have traded that visit for anything, not even a taxi.